Donate books featuring characters of color. Check out our Birthday Wish List. Book donations are accepted during our open office hours at our warehouse. 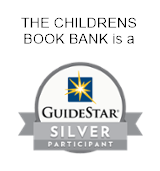 Donations of new or gently used books are tax deductible. Please see Value Your Donation for more information. Board books, picture books, alphabet books, books about numbers, colors, animals, shapes and words, story books, rhyming books, multicultural books and Spanish language books are greatly needed. Chapter books for elementary school students are also appreciated. To donate your gently used books, please pull out and recycle any coloring books, magazines, musty/moldy books, or books missing pages or damaged beyond repair. Books in good condition can be neatly packed into boxes and dropped off at our warehouse location until an hour before closing. (Boxes with lids are greatly appreciated!) If you have a large donation, please contact us in advance to arrange a drop off time. If you are interested in buying books to donate, our greatest needs are for multicultural books and children’s books in Spanish. Thrift stores, yard sales, and library book sales sometimes have great children's books available for as little as $1 or you can buy books online and ship them directly to our mailing address. Including shiny new books in each bundle helps young children get excited about the gift of reading!